In keeping with PARIC’s commitment to enhance the community, we have developed an in-house team with the expertise to deliver outstanding value. 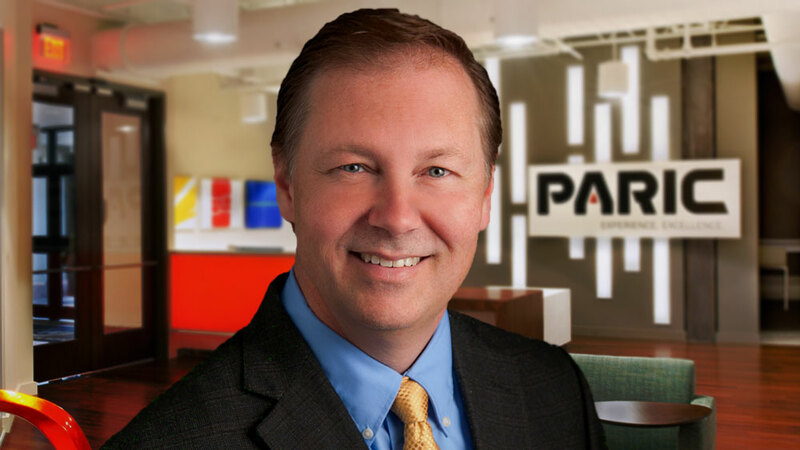 Led by Kurt Mollet, PARIC as an Education builder has earned a reputation for providing market-specific expertise that significantly enhances the overall value for each client we serve. 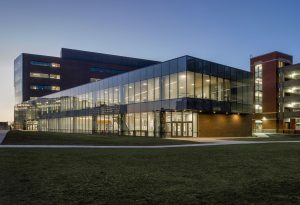 In keeping with PARIC’s commitment to enhance the community, we have developed an in-house team with the expertise to deliver outstanding value to private, K-12, and collegiate institutions, including: Performing Arts Centers, Classrooms, Laboratories, Administration Facilities, Athletic Facilities, University Centers, Parking Garages, and Student Centers. Our team of education construction experts lead by our education builders is second to none. Kurt has over 25 years of experience in the construction industry and has a broad knowledge base and experience in all aspects of construction. 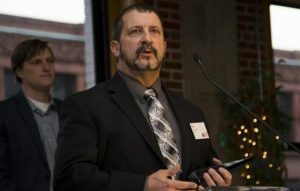 He has lead multiple projects in the Educational market sector and he has been directly involved with the planning, design, and construction of academic projects throughout the Midwest. 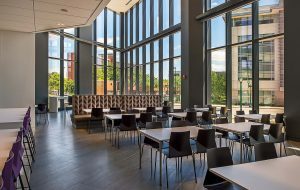 "It is with great pleasure that I recommend PARIC Corporation for this year's AGC Keystone Award for The Lofts of Washington University project. From day one of selection, PARIC and their team displayed unwavering commitment to this important project. 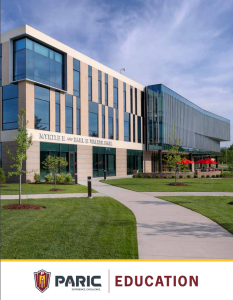 Their knowledge, creativity, professionalism, and tireless efforts helped to complete an unparalleled student housing facility to meet the ever-evolving needs of our diverse student population." "From time to time, as in any construction project, issues need to be resolved. Our concerns were address by PARIC in an efficient and timely manner and we were able to resolve matters quickly and satisfactorily." Companies like yours, which give donations, allow High Hill Christian Camp to be good stewards of what God has given us. The refrigerator is a wonderful gift and was badly needed! They have maintained a high level of commitment to meet and often exceed the District's goals. Their team seems to go the extra mile to accommodate our staff. This company is one that I would recommend without any reservation." I wanted to write to you and express how much I appreciated the effort put forth by your superintendent Dave Parisotto. I was unaware of the level of difficulty this project posed in the beginning, but Dave's sober demeanor and strong leadership skills were exactly what was needed on this project.